Pictured are L-R: (Front Row) Emily McWhorter, Mary Ellen Murphy (Thomas), Diane McWhorter (Second Row) ? Lovell, Lenora Elder, Barsha Hodges Barker. 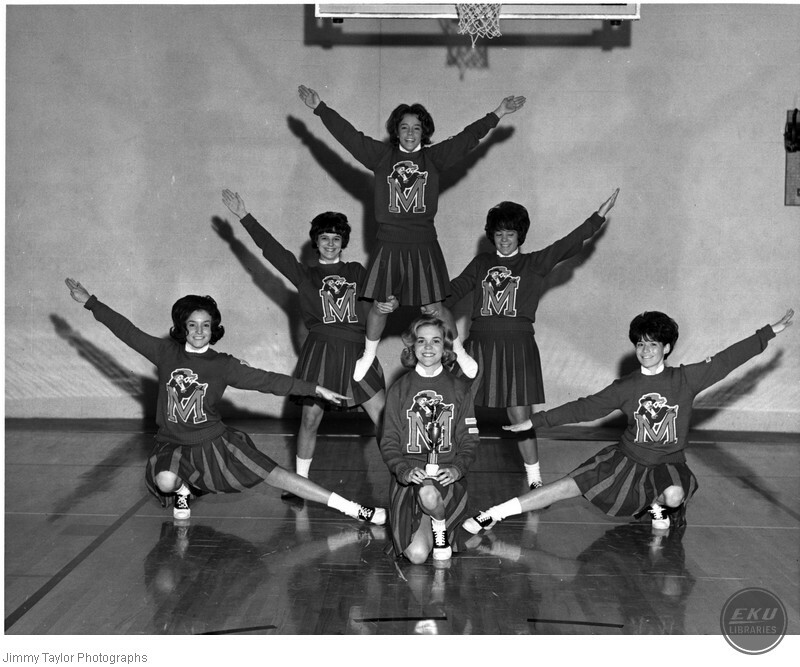 Taylor, Jimmy, “Madison High Cheerleaders with a Trophy,” Digital Collections, accessed April 21, 2019, https://digitalcollections.eku.edu/items/show/24183.